A recent article in the Washington Post looks at the potential of one disease process linked to another. Pretty fascinating stuff in my opinion. The dental piece of it was very interesting, I’ve copied it below, but you can read the full article by following the link above. The mouth/oral cavity is definitely connected to the rest of the body and can cause problems a long way from the mouth. It’s important to remember that. 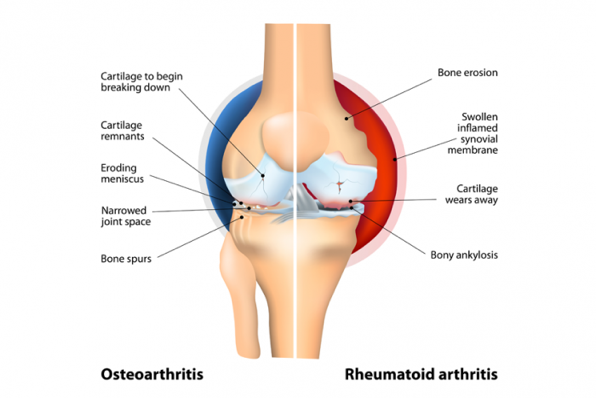 Rheumatoid arthritis (RA) is a progressive autoimmune disease marked by painful, swollen joints. Gum or periodontal disease causes gum infections that can lead to sore mouth, bleeding, chewing problems and tooth loss. Dentists long ago noticed that people with rheumatoid arthritis were more likely to have gum disease — and vice versa. “People with periodontal disease are at higher risk of RA, and people with RA are at greater risk of having more advanced periodontal disease,” says Mark Bartold, professor emeritus at Australia’s University of Adelaide and co-author of a 2013 review of 19 studies on the topic. The reason for the connection between the two conditions is unclear, but there’s some evidence that treating periodontal disease improves certain markers for RA. To reduce your risk: Attend to your dental health. Brush twice a day with fluoride toothpaste; clean between your teeth regularly with dental floss, an interdental brush, a floss pick or a water flosser; quit smoking; and visit your dentist as recommended for checkups and cleanings.